At our May 2, IDignity Seminole event, the Out of State Birth Certificates Team had a rewarding experience. A client from our very first event, May 20, 2014, came to re-apply for a birth certificate again so he could get an ID. His first time through our process was such ancient history, that he politely didn’t even bother to ask if there was an outcome still on file. Fortunately, before he left the event, a team lead happened to recognize the name and checked our records. There it was in our file, pristine and freshly minted as if it had just come in yesterday! She rushed to find him. By grace alone, he was still in the lunchroom, calmly eating his food and anticipating another long wait for this first crucial step toward full participation in our society. In an instant, his somber realism turned to disbelieving elation as he stared down at the proof of his birth now sitting on the cafeteria table in front of him. It gets better! His Social Security card and two proofs of address happened to be the only other documents he’d brought with him. They happened to be the only ones he needed. 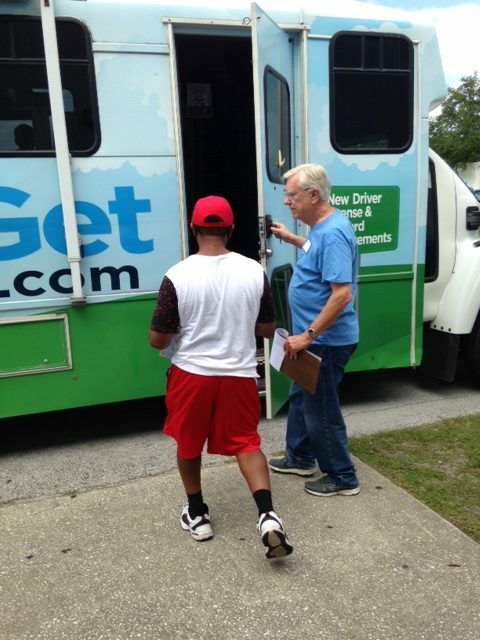 Within the hour, he was stepping off the DMV bus with his likeness printed on a Florida ID. Thus far in the 4 years of IDignity Seminole, we have sent for, received and distributed 206 Out of State Birth Certificates. We currently have 46 Birth Certificates waiting for client pick up and an additional 33 applications in process. These are notoriously difficult documents to obtain, given the idiosyncrasies of different state requirements, wait times, and often times legal representation that is needed. 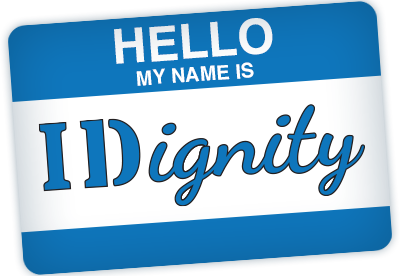 This is why we exist at IDignity. For two years now, IDignity Seminole has thrived in partnership with the Salvation Army of Sanford, which has afforded us the chance to get closer to where many of our clients actually live. We thought we’d take the opportunity to share the extraordinary story of the extraordinary man now directing this SA location. Sheed was born and raised in a Muslim family in the midst of civil war in the African country of Liberia. After his father died, he and his family lived in abject poverty, having to face hunger, homelessness and fear on a daily basis. Their 2-bedroom home was riddled with bullet holes from which he still carries scars from bullet wounds and shrapnel. With no medical provisions, the family survived on wild fruit and drinking unsanitary water. Eventually they were displaced and traveled from village to village in search of food, shelter, and safety. They ended up living in an abandoned building. 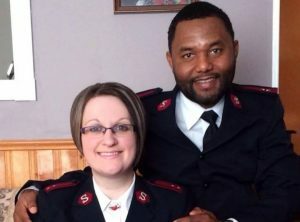 One morning, a man in a uniform (who, Sheed later learned, was from The Salvation Army) found them and offered them beans, rice, chicken and milk – which was a delicacy to this family. Years passed and he was forced to flee to the United States as a political refugee.